Last month Boysnoize Records sister label BNR Trax put out a release by a name often seen on concert bills but relatively fresh on the digital shelves. 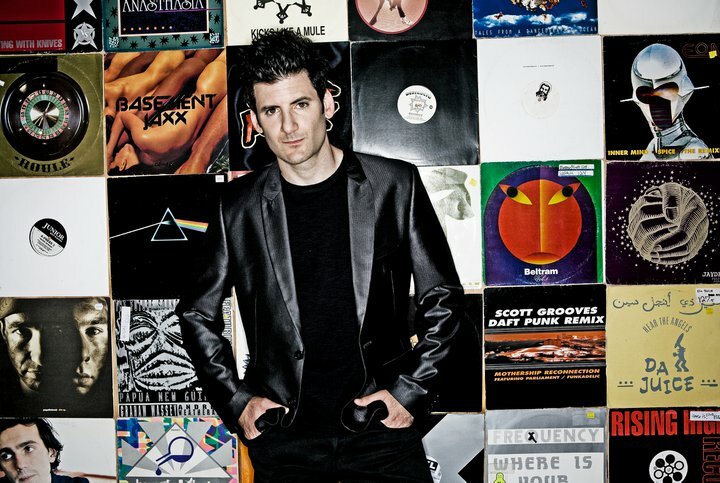 That name would be Destructo and his EP, the fruits of his latest work in the studio, is bent on consistency with three originals certain to shine in settings of their own right. 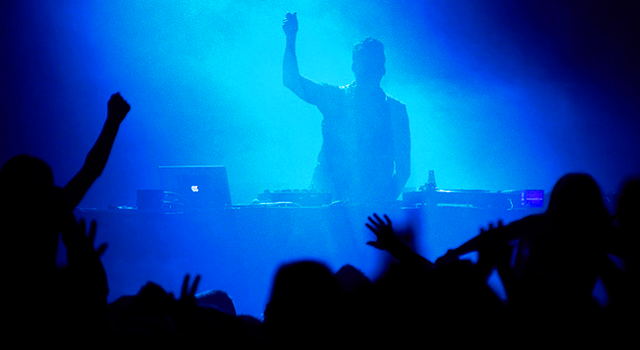 The title track, a distorted hybrid of electro house and techno, was quickly adopted by the likes of Boys Noize and added a brick to the peak of his set. Not a surprise considering its daunting choir in the breakdown sets a sinister tone for the crowd to be run over by a mob of engine revving synths. And to balance the vibes out, "LA Funky" strings together lush polyphony and warm filtering for some cozy house harmony. The last number, "Stand Still" tips its hat to deep disco grooves and sultry attitudes with hot to trot percussion and a drilling bassline. Add remixes from BNR collective's BS1 and Jan Driver, and it makes for one of the strongest releases the imprint has put out as of late. Watching the music video for "Technology" one can see this release has taken on quite the investment compared to others that followed, so who really is Destructo? His real name is Gary Richards, and when he's not in the studio fashioning his next set of DJ weapons he's liberating the thousands by hosting the largest dance music events in North America. There's no denying that HARD has become a national staple proliferating from the west into the east coast, and its success has been deserved rightly so. As the brand not only stands for a binge in entertainment but also education. With lineups aimed at chronicling the ongoing history of good music — music that challenges itself. Much like a DJ mix, the bill is a reflection of the man's own tasteful selections. Filtering out the Guetta's from the Ridha's and making sure that you know the scruffy bloke standing on an NYC street corner isn't a substitute teacher but rather a more honourable man named James Murphy. Of course how does such an institution garner integrity without some cited evidence. His most heated annual event, HARD Summer was announced last week with a flyer that hits on every niche from the bovine rhymes of Action Bronson to the four on the floor thrones of Boys Noize, Erol Alkan, and even indie acts like Bloc Party. There are way more talented individuals in the world than there are successful rock stars. There's a big difference between the two. It's all the skills no musician wants to talk about – delegation, negotiation, follow-up, and even investing. Turning back the pages, overpaid his dues would be an understatement. Gary has been rolling up his sleeves in the LA scene since the early 90s and left a mark right from the get go. K-Rave 93', that was the name of a small party held at an amusement park known as Knott's Berry Farm. Attendance was summed to at least 17,000, shattering all records for raves in North America at the time. It put the culture on the map and on nightly news as masses of kids hopped up on music and molly stormed the area before cops put a stop to it. Later on he dipped his fingers into management and A&R, being appointed by Rick Rubin to seek out and launch the careers of acts like Lords of Acid and Basement Jaxx who've sowed the seeds for dance music embraced in clubs today. If there's anyone that has something to say about the life of being a compelling force in the music industry, working on the charts in or out the ground, it's Gary Richards. A promoter has to take chances to keep alive but I'll proudly stand by every flyer I've ever printed. EARMILK: You're not only a DJ, but also a host promoting the biggest events in North America and managing many esteemed acts. It seems like every facet of your life is centered around electronic music to the point of a bare 24 hour obsession. Where do you find the time to do all of this, and would you say this multitasking lifestyle fits into a nice package? Destructo: [laughing] There's definitely no package for this. People might think they want the rock star lifestyle package, or now the superstar DJ package, but that's as much myth as cliché. There are way more talented individuals in the world than there are successful rock stars. There's a big difference between the two. It's all the skills no musician wants to talk about – delegation, negotiation, follow-up, and even investing. The music, that's the reward! That's the fun part. I've been DJing for twenty years. I played drums growing up, but one day I went to a party and heard a DJ spin 808 State's “Cubik.” I didn't go home after the party – I drove straight to the record store and waited until they opened. I bought “Cubik” and like twenty other records. I got home and realized I didn't even have a turntable! So I got a turntable and started practicing and I knew right off the bat DJing was my calling. Everything else grew around it because I couldn't sit still and watch the shady motherfuckers take over. Music before money, that's a simple principle. When it's important to you, you make time. EM: Then onto the music and the money. Being the mind behind the HARD events, would you say the lineup is a honest reflection of your current taste in music? Is there some sort of balance between acts you might not necessarily play out but rack up ticket sales and attendance to draw people into discovering talent you love? D: I found out – like when we did HARD Haunted Mansion in 2008 – I found that when I really go with my gut and put something out there that I love, it has a bigger impact. I think that's why people recognize HARD now, not for any single act necessarily but for the combination of amazing acts and the obsessive way I put it together. For a long time I was nervous about booking only on taste. Getting back into the groove of being a promoter in 2007 it was almost like being brand new to the scene in terms of trying to get the acts. It's never easy to get all the artists you want, but I've always booked with my ear. There's minor politics involved here and there and you can't avoid that no matter how big your festival is. Every agreement you make with someone, you're dealing with human beings on the other end of that contract. A promoter has to take chances to keep alive. But I'll proudly stand by every flyer I've ever printed. I think all our lineups have sold tickets and introduced new niche artists, so I don't really see a trade-off. After that show I made some drastic changes and really stopped thinking I was just the DJ and the talent booking and the marketing. No, I have to be an expert on all of it. Safety, travel, street closures – all of it. EM: Let's go deeper on the most successful vs. the stressful moments of your career as a promoter. Talk to me about your first set of parties you threw – location, lineup, technology, etc..
D: If you want to go back to '91 we were using map points and phone lines. Back then we could do 1000 people and that was a packed house, a great party. There's no way for anyone who didn't live through it to relate to it. EM: And compared to where you're now today, what event would you place at the top? D: In terms of my favorite event I'm still a little wrapped up in the first HOLY SHIP! we did this year in January. Maybe it's just fresh in my mind, but once we sailed away from shore I had one of those moments. That 3-day cruise was a huge inspiration for putting together the HARD Summer 2012 lineup. It's like the boat docked in Los Angeles and took over downtown LA for a whole weekend. It's huge. EM: Now that you mention HARD Summer, I want to bring up what happened in 2009 and ask if that put some grey hairs on your chest, how do you handle the responsibility of moving thousands of people in and out of a building with the pressure to please bookings, management, and concert goers? D: I'll stand by that lineup from HARD Summer at the Forum still, too. I can't even compare that to my first events. For readers that might not know, in 2009 (the second annual HARD Summer) we tried moving to the Forum. It's a huge arena in Inglewood. Crystal Castles finished playing and before Chromeo could go on, fence jumpers invaded our perimeter. Foot traffic inside the event came to a standstill. We stopped the music. Kids started rushing parts of the event and the local fire department decided not to let the show continue. After that show I made some drastic changes and really stopped thinking I was just the DJ and the talent booking and the marketing. No, I have to be an expert on all of it. Safety, travel, street closures – all of it. A few things still haven't changed since '91. It's still about the music for me, and I still love to DJ. I'm still giving fans a surreal night that they couldn't possibly get anywhere else. I have gotten my share of grey hairs from all of this but it was well worth it. EM: So you mentioned earlier that you've been dipping your fingers in dance music since the 90s. Are there any must-have tracks in your set lists that have withstood the test of time? D: Yeah I've found clean digital versions of a lot of the vinyl that I used to play, and I've even ripped some of my white labels onto my HARD drive from the original vinyl. I always find new ways to work them into my sets and people always ask about what I'm playing because I often play out tracks they never hear anyone else play. You should throw this photo into your article. I'll give away a two-day pass for HARD Summer to the first one of your readers that can name one track from all twenty-four of those records (comment on Facebook). Thanks to my friend John Juniper, the photographer, who shot that. EM: I had a chance to catch you spin in Toronto when you opened for Brodinski and Gesaffelstein on their stop at Wrongbar during the Bromance Tour. Both acts noted for leaning on techno in their most recent productions, what was it like playing with those guys and would you say that the crowds across North America respond well to this current resurgence in techno music? D: The people in Toronto really go deep. Like when you're grooving into something funky with a driving beat, the crowd is shouting and jumping up and down. Lots of parts of the country right now it's like the fans are just addicted to “sick drops”, not even in dubstep but in every kind of electronic music. I feel like Toronto, NYC and the bay area in California are some of the places that are really ahead of the curve and consistently get the deeper music. Playing with Brodinski and Gesaffelstein is amazing. I brought Gesafflestein for his first USA show last year in the bay, and since then I think he and Louis [Brodinski] have really influenced each other's DJing styles. I hear Brodinski getting those rich, mean techno records that you can only play when the crowd is really ready for it. I hear Gesaffelstein sounding more traveled and giving hints that he listens to more than just OG techno and classical records. EM: I'd say you were a good fit considering your recent EP Technology on BNR Trax really grasps the array of sounds going around today. The title track feels like foot stomping electro but throws in these bits of techno eeriness and experimentation. While "Stand Still" is driven by a funky disco bassline mixed into a grim techno atmosphere. The tracks are edgy enough for the chin scratchers but still edible to the average club goer. Would you say that is something you're trying to achieve when you break out a tune? D: That's really perceptive of you. What's funny is the studio is my escape. I don't think about anything like categories or who's going to play it when I go in there. I try not to really think about anything at all. I try to turn my phone off and just make the music. Sometimes I might bring in old vinyl for inspiration and to bounce ideas off of Vaughn and Oli [from the duo Oliver] but that's just a starting point. You have to make time in your life to have great conversation. It's the same in making music, you have to make time to just play around with sound. Sometimes you tell it where to go. Sometimes it's telling you. EM: So what does the future look like for Destructo? Are we going to be seeing more HARD events popping up in other cities and are there any more EPs or remixes in the pipeline? D: Right now I have a remix for Strip Steve that I just finished that's also going to be coming out on Boysnoize Records. I'll be hitting some spots in the states and even touring Australia (tour dates). I'm in the studio more this year than I've ever been, so maybe I'll have another EP this year. I might save it all for the live show and the album though. You'll see HARD bringing plenty of national dates this year. Just wait. @hardfest will blast it out to your e-mail and twitter and facebook and so on. We're good at that. EM: One last question, I'm going to throw this one out. Has Rick Rubin ever let you stroke his beard? D: Never asked, but I bet he would. Rick's a great man. I'm just not that interested in touching some facial hair. Never did we suspect the track titles "Technology" and "Stand Still" to creep into our interview exchanged in a subliminal fashion. Maybe it's a canny coincidence or maybe it's because BNR Trax 14 encompasses the sounds and attitudes that run the contemporary dance machine today. Grab it now, off the digital shelf and onto the peak time of your party's playlist. Really great interview! Hard-working guys like Gary Richards in promotions and event planning are the life-blood of the EDM scene today. I was fortunate enough to be a part of Holy Ship in January and can honestly say my life has been forever changed by this man. Having the opportunity to bump elbows with the talent and share some quality time with true EDM die-hards inspired me to spend more time developing my own skills as a producer these past 4 months. Anyone who is reading this and hasn't been to a HARD event before, look one up and get out there! where can a digital copy of DESTRUCTO live at Double Up Mickey on milky way be found?